The deeper stabilizers of the trunk are well supported in the literature, such as transversus abdominus (TvA), to be the major players of lumbopelvic force closure. They are responsible, as part of a global stabilizing system, in conjunction with the multifidi and other synergists such as the respiratory diaphragm and the pelvic floor “sling”, to increase intra-abdominal pressure and create spinal unloading. Yoga postures and breathing provide unique opportunities for concurrent development of strength and mobililty in the spine. Medical Therapeutic Yoga Part A and B recalibrates yoga for the evidence-base, making it a valid choice for rehabilitation in both psycho-emotional and physical arenas. TATD breath makes provision for safer and more effective yoga practice as a form of diaphragmatic yogic breathing that considers the last 20 years in lumbopelvic stability research while promoting meditation via vagus nerve stimulation and achieving allostastis in the individual. 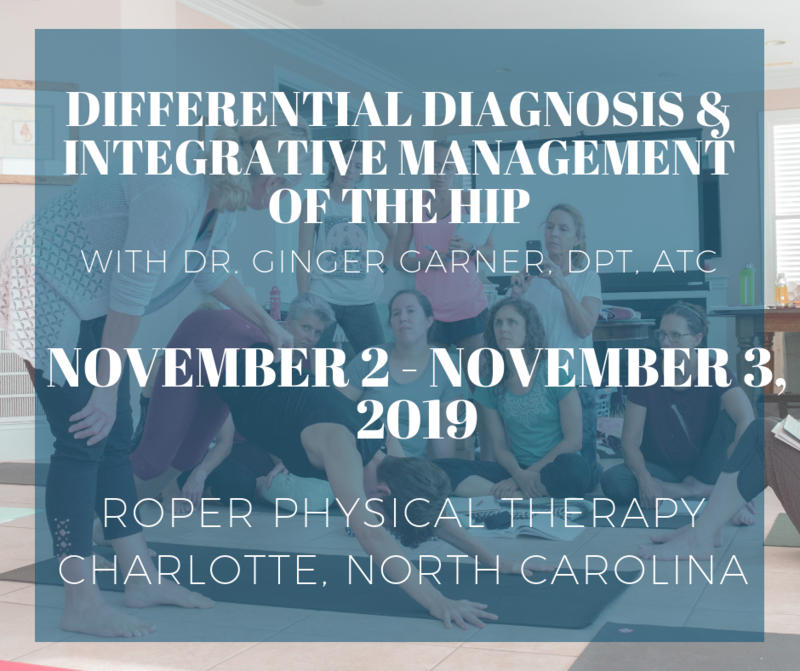 Watch Ginger merge the evidence-base with yoga in Medical Therapeutic Yoga Part A and B, offered as part of the Medical Therapeutic Yoga Certification in partnership with Medbridge Education and Professional Yoga Therapy Studies. Beginners start by learning abdominal breathing and progressing to TATD breath in all dynamic yoga postures. Streeter CC, Gerbarg PL, Saper RB, Ciraulo DA, Brown RP. Effects of yoga on the autonomic nervous system, gamma-aminobutyric-acid, and allostasis in epilepsy, depression, and post-traumatic stress disorder. Med Hypotheses. 2012 May;78(5):571-9. doi: 10.1016/j.mehy.2012.01.021. Epub 2012 Feb 24. França FR, Burke TN, Caffaro RR, Ramos LA, Marques AP. Effects of Muscular Stretching and Segmental Stabilization on Functional Disability and Pain in Patients with Chronic Low Back Pain: A Randomized, Controlled Trial. Journal of Manipulative and Physiological Therapeutics Volume 35, Issue 4, May 2012, Pages 279–285. Thanks for the ping Medbridge!